Why Cryonics Makes Sense by Tim Urban is the most eloquent explanation we’ve read of the reasoning behind cryonics. It’s a great place to start. Before the invention of artificial respiration, drowning victims were considered dead once they lost consciousness. We now know that they could have been resuscitated with the right knowledge. Similarly, before the invention of CPR in the 1950s anyone who entered cardiac arrest was beyond help. Survival depends on how much knowledge you can bring to bear in the time you have, and cryonics gives you more time. Much more time. “At What Moment are You Dead?” by Randall Hayes is a five-minute TED-Ed lesson that gives a simplified introduction to death and cryonics. Cryonics isn’t a cure though, it’s more like a pressure bandage that gives us enough time to get to an appropriately equipped hospital. There are a number of reasons that have led the founders of Southern Cryonics to believe this is the time and the place for a new cryonics organisation. We’re Australian. This project will build the first cryonics facility in the southern hemisphere, and the second outside the USA. Currently there are two long-standing cryonic storage organisations in the USA, Alcor and the The Cryonics Institute; Oregon Cryonics was established more recently. Currently, the only one outside the US is KrioRus, based in Russia. There are compelling reasons to have a cryonics facility in the local region. The current need to transport patients overseas (mainly to the US) means there are significant delays between the pronouncement of death and the suspension taking place, resulting in unfavourable conditions for a successful suspension. These include administrative delays and the actual transportation time, which can amount to more than a few days during which the patient is stored at less than satisfactory temperatures. Other factors to be considered for overseas suspensions include high transportation charges that add to the total cost; different legal systems, including inconsistent application of laws and variable application of laws to foreigners; and the fact that Australian life insurance policies, by which most clients are funded, are subject to exchange rate risks. The elimination of these logistical disadvantages will be of great benefit to Australian cryonicists. We would also be more comfortable knowing that we, and any loved ones who plan to take the same path before or after us, will be housed close to home and close enough to visit. Australia is a very forward-thinking nation with a history of favourable tolerance to new ideas. We hope the advantages of an Australian cryonics facility will lead to greater public interest, acceptance and serious consideration of cryonics. A cryonics facility is designed to do one thing: save lives. With that in mind, the sooner we have one available in Australia, the better. 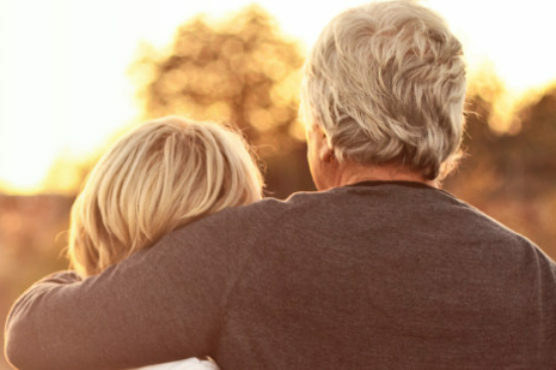 Nobody likes to think about their own mortality, which is why so many people delay taking out life insurance, making a will, or seeking medical treatment for a niggling condition. The additional administrative burden of signing up for a cryonic suspension with an overseas facility is very discouraging, and tends to induce even more procrastination. The founders, investors, and volunteers of Southern Cryonics want to make it easier for people to save their own lives, and the lives of people they care about. It’s true that we can’t be sure cryonics will work. There are no guarantees, but if we didn’t think there was a decent chance we wouldn’t be signed up ourselves. It is currently possible to preserve people in such a way that there is no detectable degeneration over many decades. The technology required to revive them does not yet exist, but by the time it is developed, it will be too late for many of us and our parents. The technological trends that make foreseeable the necessary advances in future medicine show no sign of slowing down, and 62 scientists have written an open letter explaining why cryonics is a legitimate science-based endeavour. It’s not pseudo-science, like psychics and homeopathy. It’s proto-science, like preparing to go to Mars. If you are interested in finding out more about Southern Cryonics please contact us.